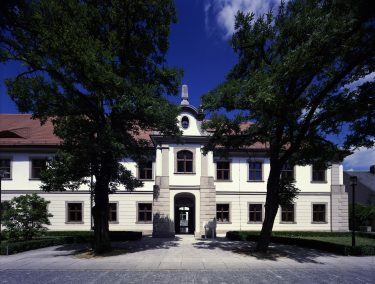 In April 1990 the International Ceramics Museum was founded as a branch of Neue Sammlung Munich – in the “Waldsassener Kasten”, a Baroque cloisters in Weiden that was modernized to an exemplary standard expressly for this purpose. 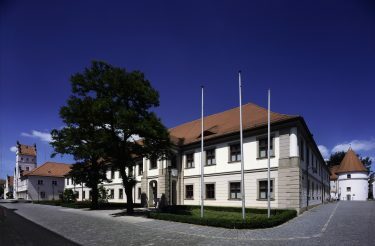 The Museum is funded by the Municipality of Weiden. This has been possible in the framework of the Museum Development Program the Bavarian State Gonverment resolved in 1979. 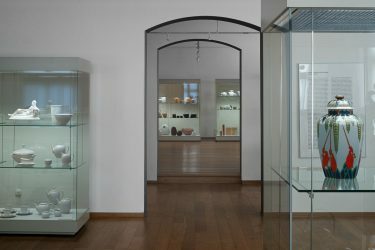 The completely novel concept developed by Die Neue Sammlung centers not only on alternating presentations of exhibits from all the Bavarian State museums that have ceramics in their collections, but also changing special shows on a variety of topics. 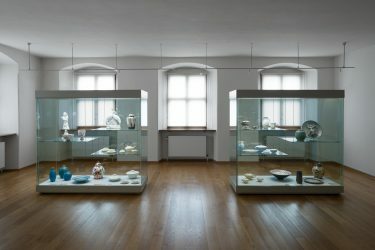 At present, there are about 1,000 square meters of exhibition space spread across two floors, where ceramic items from eight millennia and from four State museums in Munich are on display: from the Bavarian State Archaeological Collection in the Museum for Prehistoric and Early Medieval Archaeology, the Museum Fünf Kontinente and from Die Neue Sammlung itself. The State Museum of Egyptian Art currently showcase one object every six months. 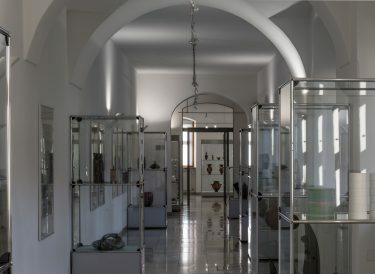 Since 2013, these exhibitors have been joined by the Bavarian State Collections of Antiquities, which are thus now represented in Weiden for the first time. 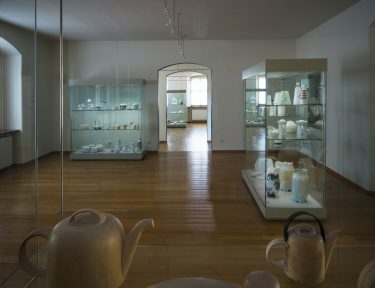 Since 1994 Donation Seltmann has also bequeathed items of Chinese Porcelain from the Qing Dynasty to Weiden, making it the only branch of a state museum in Bavaria to boast a high-quality collection of its own. 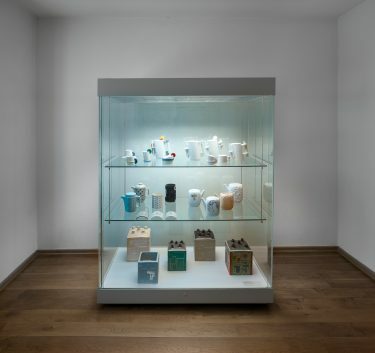 Each of these collections on show in Weiden constitutes an entity in its own right, and these special themes are only to be experienced in the International Ceramics Museum in Weiden. 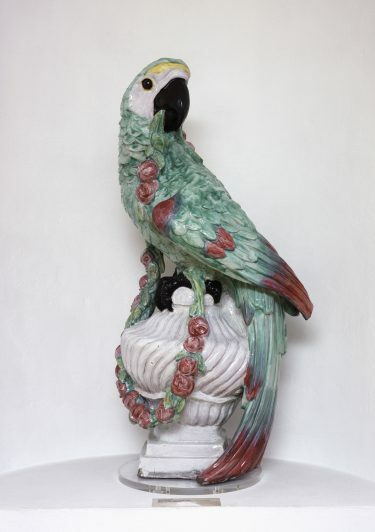 Die Neue Sammlung is providing an idea of its extensive collection of 19th-21st-century European ceramics. 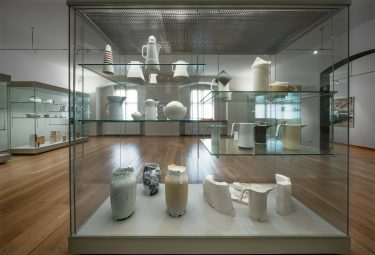 The works encompass a variety of techniques – ranging from simple earthenware through faience, vitreous and nonvitreous stoneware, to porcelain – and document the quality and diversity of the collection. The items include unique pieces and objects from small handmade series not to mention industrially manufactured products. Thanks for the Egner donation, the field of “studio pottery” has been expanded to constitute a focal theme in its own right. Ceramics for technical purposes are represented by Berlin laboratory vessels and English chimney pots. View of Internationales Keramik-Museum Weiden. Manufacturer: Porzellan-Manufaktur Nymphenburg, Munich, Germany. Loan from the Münchner Stadtmuseum.